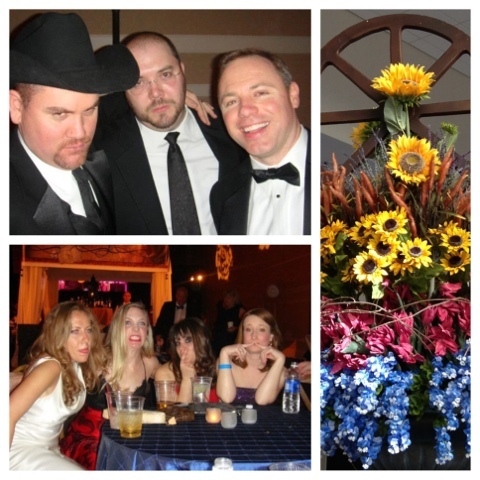 In my last post I talked about Texas' Inaugural Ball, Black Tie and Boots. As I mentioned, it is hands down one of the best events ever so when tickets went on sale I knew I had to go again. This year was even better because more of my friends attended! Some pics of me and my handsome man and then my lady loves! BT&B is a night of music, fun, and surprises. I was in a Mariachi band when I was in junior high and high school, and I have loved the music since before I can remember. A Mariachi Band from South Texas (holla ) serenaded us on the way into the party, and it was definitely one of the highlights of the night for me! I also loved running into some of my Camp Mystic ladies. Love them and love that incredible place. BT&B usually has celebrity special guest along with all of the musical artists. The first time I went the guest was Denzel Washington and this year it was Jamie Fox. At one part of the night I was practically touching Mr. Fox. I kindly offered him a beer, and he gestured to his water bottle and shook his head no. BUT he did wink at me. So I call that an equal trade :) We are practically BFFs now. 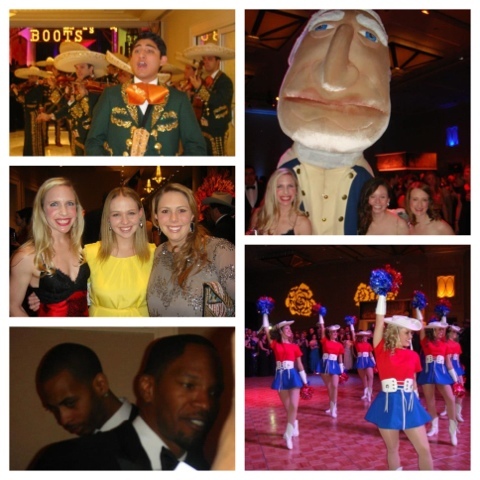 Pan American Mariachi Band, My Camp Mystic Loves, Jamie Fox, Big Headed Nats George Washington, and the Kilgore Rangerettes! This year I thought the decorations were better and I loved watching the Kilgore Rangerettes dance. Those girls can kick! Obviously some other people loved them as well...and not just because of their performance. 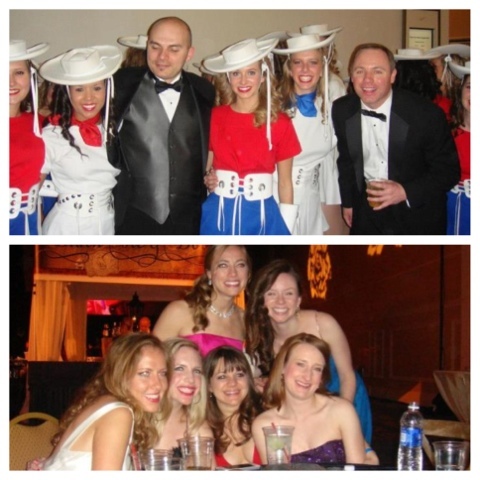 Dave and Josh macking on the Rangerettes and me and my besties*! 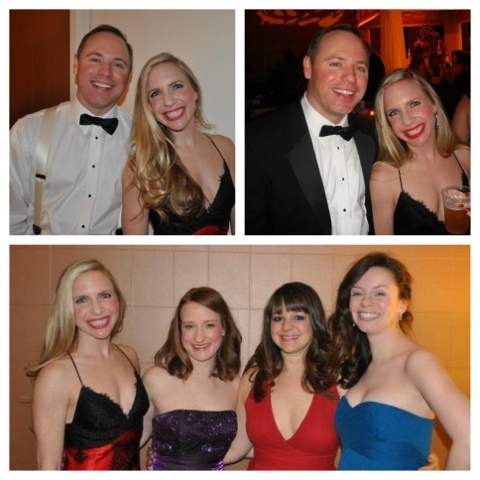 Black Tie and Boots you have succeeded yet again in providing me with one of the best nights! Here's to four years from now! Kilgore is about 45 minutes away from where my parents live and I have grown up watching the Rangerettes. I've gone to high school with many of them and several of my teachers were Rettes, as well. They are so much fun to watch! Sounds like a fun time!